The North Suffolk market town of Beccles is not exactly where you would expect a battle with the Coalition Government's education policy to play out but that is what has happened. With some 9000 inhabitants it has a high school called "Sir John Leman High" named after a local tradesman who went on to become Lord Mayor of London some 100 miles South of Beccles. Not exactly a politically radical part of the Country but with a strong local sense of identity that you typically find in this kind of remote rural area. People here are likely to be more loyal to town than party. Suffolk County Council's Conservative Leader Mark Bee comes from Beccles and is proud of being once the Mayor of the Town Council here before going on to Lead first the local Waveney District and then County Council. Back in November 2011 the people of Beccles actually won the Prime Minister's Big Society award due the community spirit and effort they had demonstrated when saving the Beccles Lido. Beccles Lido shows the great things that can happen when the power of a community is unleashed. 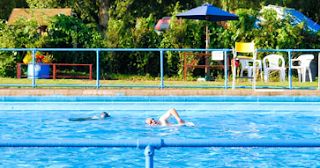 Congratulations to Beccles Lido Limited and all the many volunteers and local businesses who decided to take action and play a part in the pool’s future. Through your passion, determination and great community spirit, you have shown what the Big Society is all about and created not just a wonderful new lido that the town can come together and enjoy, but a stronger community too. 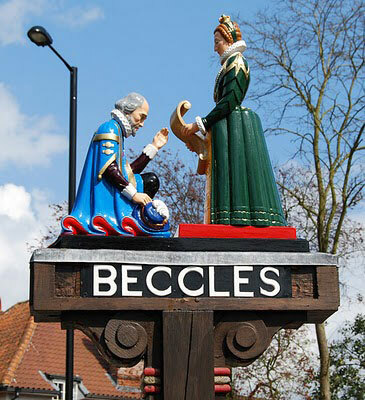 Opposition to the free school in Beccles has been led by local parents and groups such as the Anti-Academies Alliance have not been actively involved. 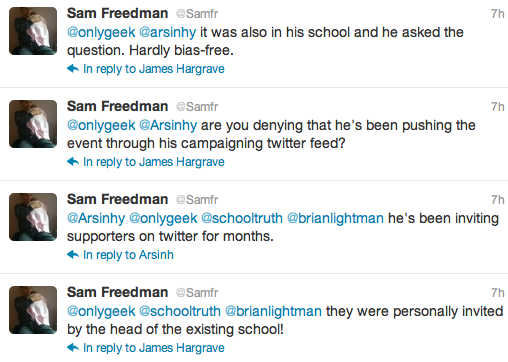 Indeed Sir John Leman School itself is an academy. This seems quite bizarre. There were posters all over Beccles about Any Questions and anyone could get a ticket by contacting the school. In addition the BBC require certain numbers of tickets to be give to local political parties. The Tory MP was present. Several Tory Councillors were present. The real issue for the DfE and the Government is that they, as well as many other Tory supporters were the ones clapping the Head of Sir John Leman. 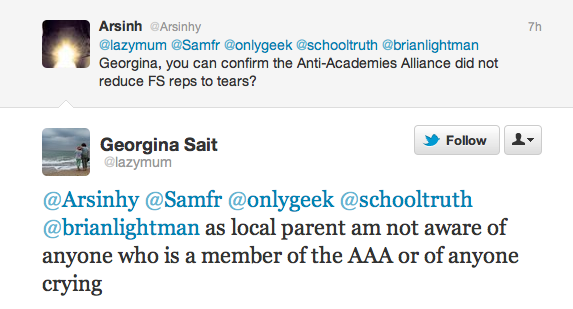 Attempts to blame this on groups like the "anti-academies alliance" and suggesting intimidation and bias just will not work. 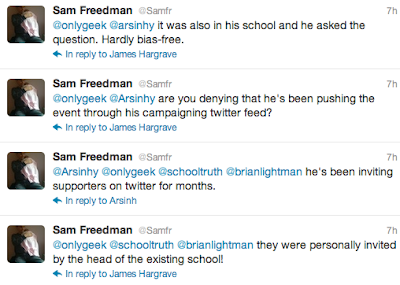 This is what the DfE and the Seckford Foundation are doing. In attacking Beccles and its residents Conservatives are basically launching an attack on themselves.